When copying across your budgets and forecasts, if you have any existing data in your forecasts view, the newly copied across budget numbers will add onto these. 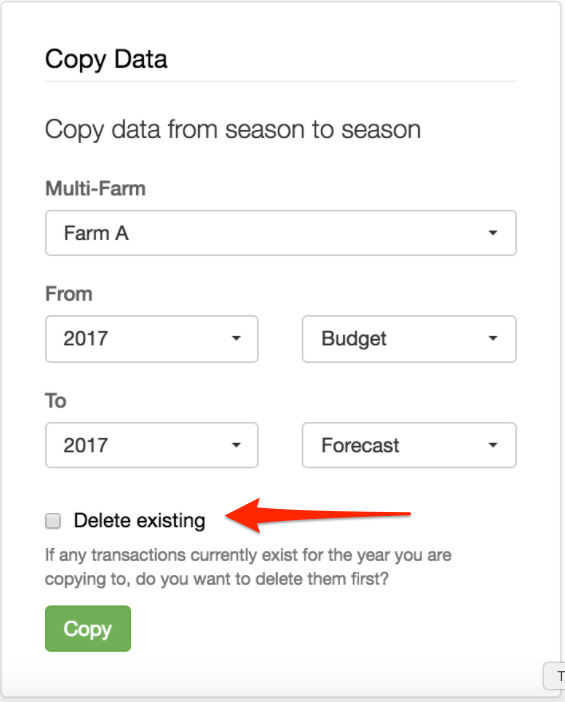 To fix these duplicated numbers, when copying over your budgets to forecasts, you need to select the box that says Delete Existing. This will prevent any of your old forecasted numbers from being added to the new numbers brought in. For more information about this, you can check out our copying budget to forecasts article.